1967 Shelby GT500 - Looking for parts. 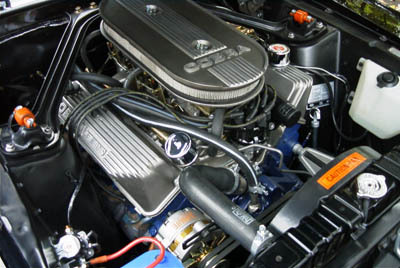 Hi: I need the cast iron exhaust manifolds for a 1967 Shelby GT500, with a 427 engine. Do you know somebody who has them? If you have the 427 engine and not the 428, you have a very rare GT500 Mustang. Apparently the 427 was an option, but I've heard that few to none were made with this engine. This is not a part I've seen available in the aftermarket. However, if you have the originals, but they're cracked, there are machine shops that can repair them for you. I've taken courses on two different types of cast iron repairs, called "spray welding" and "pinning" which can fix them up like new in most cases. Otherwise, I'd suggest looking through Ebay and any local Mustang/Cobra shows for leads for used parts. P.S. Anyone reading this who has a source for Jose , please add to this thread below with the contact form. Comments for 1967 Shelby GT500 - Looking for parts. Are you still searching for exhaust manifolds? (edited to reduce spam) I live in nj. And my friend has a lot of Shelby Mustang parts and owns 1 of 3 Shelby Gt500 cars with a 427. And has a 65 exp.